Like Spike: Vera enjoys a Chick Flick? That's right! For those of you know me well, you know I am NOT a Chick Flick type of person. 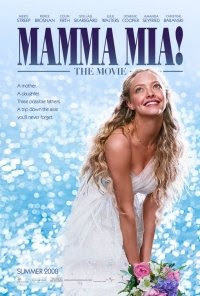 However, tonight a group of ladies from church had a girls night out and went to the movie Mama Mia. It was a great movie. I highly recommend seeing this one!! !